Lance travels to Virginia to write music for and teach a percussion camp for the 4th year in a row, and also shares his new "7 Steps" clinic with George C. Marshall HS and W.T. Wilson HS. Lance premiers his new clinic, "7 Steps to Becoming a Champion" at the "Off The Left" Percussion Clinic. After another succesful indoor percussion season at El Camino Real Charter High School, Lance creates a new concert percussion program at ECRCHS, and finishes the school year with outstanding performances at the Southern California Percussion Festival, and the Mira Costa Percussion Festival. St. Genevieve Elementary school returns to finals in the Southern California Percussion Allaince (SCPA), and earns a bronze medal. Nobel Middle School makes finals in the Southern California Percussion Alliance (SCPA) for the 2nd year in a row, and then earns a bronze medal in the American Drum Line Association (ADLA) Junior Advanced Division. Lance is invited to teach a percussion camp in Virginia for George C. Marshall HS for the 3rd year in a row. Nobel Middle School earns their 2nd straight championship gold medal in the American Drum Line Association (ADLA) Junior Advanced Division, bringing Lance's total gold medal championship count to 21. In Lance's first year at Nobel Middle School, the Nighthawks make finals in the Southern California Percussion Alliance (SCPA) for the first time in their history, then went on to earn a bronze medal. Lance begins teaching at Nobel Middle School, adding to his teaching duties at El Camino Real Charter High School, and St. Genevieve Elementary School. After winning the Gold Medal in the Scholastic Junior Division at SCPA Championships, St. Genevieve Elementary Drumline travels to Dayton, Ohio to compete in the WGI World Championships. Aside from out scoring 25 high schools in the PSA Division, St. Genevieve makes history by being the very first elementary school to compete at the WGI World Championships. The Carnation Instant Breakfast Drink Commercial, featuring Lance's students and the LDM composition, "Funky Monkey," begins it's 2nd year airing nationally. Lance returned to Virginia to do a week long percussion clinic/consultation with Marshall HS. The short film, "Ekorre Fallan," featuring original music by LDM, premieres at the Playhouse West Film Festival. Los Altos HS in Southern California wins the Gold Medal in their division performing the LDM Indoor Percussion Show, "Fire." El Camino Real HS of Woodland Hills, CA win the Silver medal in their division with a score of 91.5, performing the LDM Indoor Percussion Show, "Hooked On Classics." A record number of schools begin their competition season performing Indoor Percussion Shows by LDM. Lance begins working with the Southern California Band and Orchestra Association as a percussion judge. Lance's Carnation Instant Breakfast Drink Commercial begins airing nationally, featuring the LDM composition, "Funky Monkey." The short film, "The Cutest Couple," featuring original music by LDM, premieres at the Playhouse West Film Festival. Lance returns as a percussion judge for the American Drum Line Association. Lance's percussion students shoot a national commercial for Carnation Instant Breakfast Drink. Lance will be flying to Texas over two weekends as a USSBA Percussion Judge. Lance will be flying to Virginia to do a clinic/consultation with Marshal HS. Lance did a recording session on drum set for the new vocal group, SKYLINE. El Camino Real HS wins it's first Indoor Drumline Championship winning the Gold Medal in the "C" class at the American Drumline Association Championships. Lance began teaching at El Camino Real HS in Woodland Hills, CA. 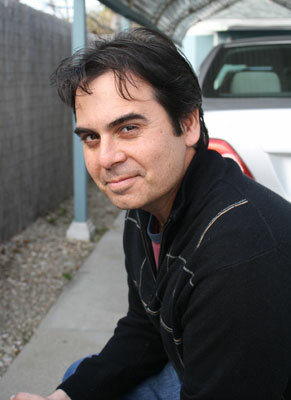 Lance Delgado received his Bachelors Degree in Music, specializing in Percussion from California State University at Northridge. He studied with Joel Leach, Karen Erving, and John Magnussen He also did extensive study in African drumming, Brazillian drumming, steel drumming and jazz vibraphone. 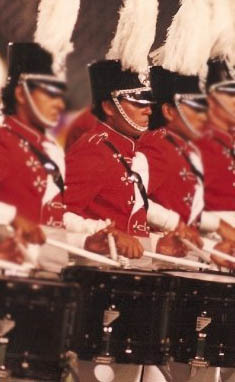 Lance served as Percussion Caption Head for the Cal State Northridge Matador Band from 1990-1998 where the winter drumline won 8 Southern California indoor & outdoor championships. After marching for 5 years with the Sacramento Freelancers Drum & Bugle Corps, Lance returned in 1994 as the instructor of the front ensemble, working with Ralph Hardimon. The following year, Lance was promoted to Percussion Caption Head. Lance served as Percussion Director at Thousand Oaks HS and John Burroughs HS from 1994-2008 where the two schools won a combined 10 Southern California indoor, outdoor and concert championships. Thousand Oaks HS also traveled to Indianapolis twice and advanced to the semifinals at BOA Grand Nationals both times. In 2003 and 2004 the Thousand Oaks HS Drumline traveled to Dayton, Ohio where they advanced to the finals in the Scholastic World Division. Lance Delgado is sponsored by Innovative Percussion sticks and mallets.